Africa’s insurance markets are expanding more slowly than other emerging regions’, but major groups are looking to enter new markets, which could speed things along. African insurers are still waiting for rising incomes to transform their bottom lines. The growth of insurance premiums in sub-Saharan Africa slowed to 4.2% last year, as lower global commodities prices dragged it down from 5% in 2014, according to reinsurance company Swiss Re. The volume of insurance premiums in sub-Saharan Africa has been steadily rising since the turn of the century, growing from just more than $2bn in 2000 to a forecast of more than $16bn this year. Non-life insurance makes up the bulk of the premiums, with about $11bn worth of coverage. Smartphones have been a boon to some Africa-focused insurers. Their growing affordability has helped boost the rise in mobile money platforms. In 2014, there were more than 250 mobile money platforms around the world, the likes of M-Pesa, Zaad and M-Birr in sub-Saharan Africa making up more than half of them. Sub-Saharan Africa is projected to have the weakest growth in its non-life insurance premiums of all regions in the emerging markets, with 3% growth over the next two years. This is slower than the trend for emerging markets, which are projected to post non-life premium growth of 7.9% this year and 8.7% next year, Swiss Re says. 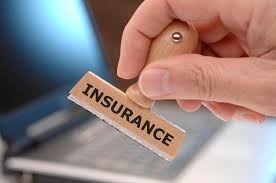 The value of South Africa’s insurance market continues to be significantly higher than other markets on the continent, with an estimated $51.6bn worth of insurance premiums in 2013. This dwarves Morocco’s industry, Africa’s next-most valuable, which was worth $3.2bn, and Africa’s third-most valuable, Egypt’s, which was worth $1.9bn. While other areas of the continent are drawing interest from insurers, it will be a long time before other markets mature to the level of South Africa’s. The slowdown in commodities prices could mean African insurers have to wait even longer for markets to grow, but there are bright spots. With surging middle-class populations, Nigeria and Kenya’s markets are likely to grow in the coming years. That potential for growth is not lost on South African financial services groups, which are looking for expansion opportunities. “The major groups in Africa are seriously entering North Africa and East Africa,” says Dawie Buys, manager of risk at the South African Insurance Association. “They actually call Kenya and Nigeria ‘the green fields’ and they have bought companies [there]. There’s a lot of capital available through these bigger groups, and there’s an appetite [to expand],” Buys adds. With a struggling economy at home, it is no wonder South African financial institutions are looking to the rest of the continent for profits. South Africa’s market, which comprises about 90% of sub-Saharan Africa’s life and health insurance premiums, is likely to post moderate growth this year because of its economic woes, according to Swiss Re. Accelerating growth could be down to improving mobile distribution and micro-insurance. Moroccan insurers like Saham and Wafa Assurance and their South African peers Old Mutual, Standard Bank Africa and Liberty have begun to show interest in expanding into new Africa markets.